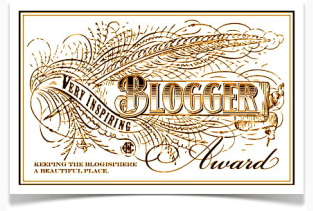 I have been nominated for various blog awards over the past year. THANK YOU to everyone who nominated me. I have saved them all up, to respond to them all together at the year’s end. This is not part of any great plan. It’s purely the result of faffiness and disorganisation. I was nominated by Italian author and journalism student Ludovica Iaccino, in January. Ludovica’s blog Be Inquisitive contains some of her very thought-provoking journalistic writings in English. One example is her provocative article on Nelson Mandela, which reminds us he was not only a liberator and a great statesman, but also a terrorist. If I were to invent an award for her, it would be the THINK AGAIN ABOUT ALL YOUR OPINIONS award. I was nominated for this one by the fabulous photography blog Just mad stuff. Just see the homepage of her lovely photos, many taken in India and I guarantee you will be so stunned you will probably spend half the day there clicking on everything. Check out how beautiful a pigeon looks in front of her lens. If I were to invent an award for her, it would be the BEAUTY ALL AROUND US award. 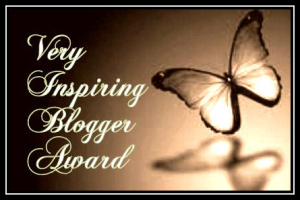 The award I would invent for this blogger would be the FABULOUSLY INSPIRED RANTING AWARD. Personally I am proud of my own skills at impassioned ranting, but she might just possibly beat me at it! Get a sample of her virtuosity, for example, in her post about possibly the worlds’ most irritating piano tuner. This one was a gift from a super sweet blogger from Massachusetts called Ramblin Ann. She drives a yellow school bus and takes care of her mother who has alzheimers. You know how some bloggers make you feel as if they’re one of your old friends, apart from the tiny fact that you’ve never met them? Ann’s blog is one of those. Anyone caring for an elderly or sick loved one will draw comfort from her understanding of just how tough it can be. 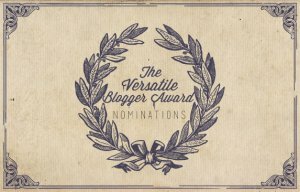 Whilst the super sweet blogger award suits her very well, my personal award for her would be the HUMBLINGLY BIG-HEARTED PERSON AWARD. Well, the usual blog award routine is to write a list of seven amazing factoids about yourself, and then go on to the nominations. 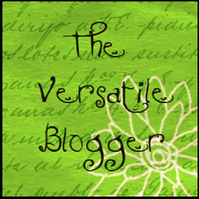 Since this post is getting very long, I have decided to give you seven titles – you’ll have to come back over the festive period to find out the story to go with each of them, and to find out who are my fabulous blog award winners! With all these awards, there will be lots of them! These are all guaranteed absolutely, completely true stories and ALL WILL BE REVEALED soon. That’s a promise. Each and every award is so very well deserved! Congratulations and if any of your readers are looking to fill up those new Kindles they found under the Christmas Tree — your book is the first thing they should load up. Ima think all seven titles refer to the same incident. My goodness, if all those things had happened at once I would certainly not have survived! And thank the Lord nobody took photos of me doing any of them!